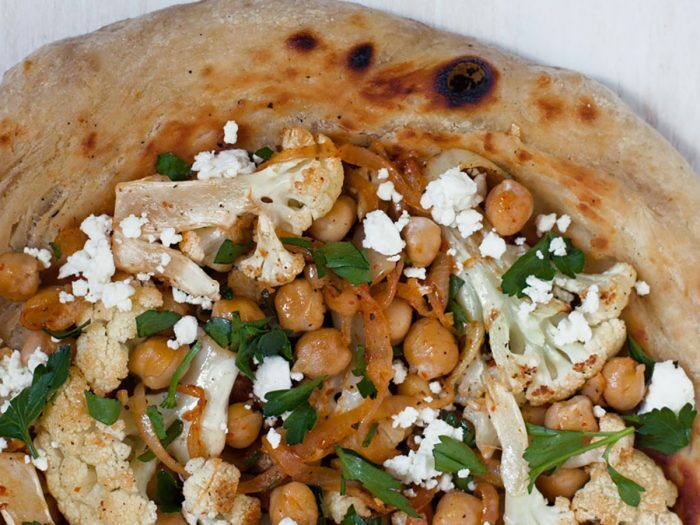 Roasted Cauliflower, Chickpea and Harissa PizzaThe beauty of pizza is its flexibility. Not just a vehicle for cheese and sauce, pizza can be transformed into a healthy meal with whole wheat crust and a mix of seasonal vegetables. For this late winter/early spring slice, we combined roasted cauliflower, chickpeas and onions with a touch of harissa for heat and cumin for Moroccan flair. Firey Harissa Wings with Tahini Dipping SauceNo need for bleu or ranch here! 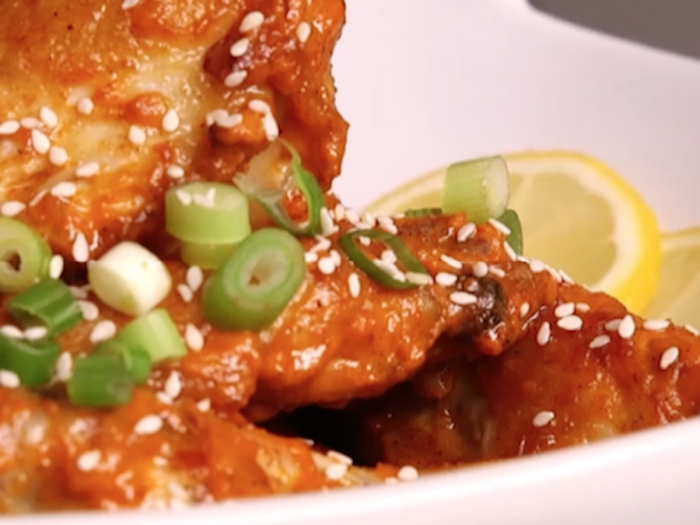 Tahini, or sesame seed paste, is the perfect base for a dipping sauce for these wings, and still goes so well with celery!